The Association of Jewish Refugees estimates that about one third of the children were able to leave together with a brother or sister. But on arrival, siblings were often separated and accommodated in different families or hostels. There were some children who for many years lived in the hope that their brothers and sisters would follow them at a later stage. Walter Michel from Cologne, who had come to England with one of the first Kindertransports from there, finally had his hopes fulfilled. 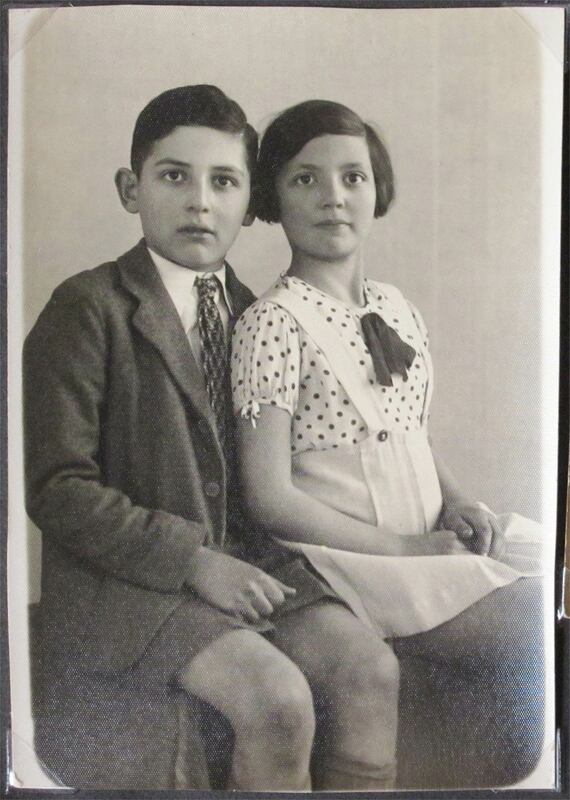 His younger sister Lore arrived in London in June 1939. Lore remembers clearly how Walter picked her up at Liverpool Street Station and even tested her English skills on the platform. Later on, he made sure that his little sister was able to continue going to school. Today in 2017, Lore lives in London and Walter lives in Boston. The siblings still phone each other very regularly. I was in a family in a tiny house in the East End of London, and my brother sometimes came from Cambridge to visit me. In Cambridge, he went to the refugee committee and said to a lady: ‘Excuse me, but I have a sister who is 15 years old and is not going to school.’ And the lady said: ‘That is really awful. Tell her to come to see us and if we like her and think we can bring her up well, we will take her in and look after her.’ He did that for me, which was very plucky. I was there for a week at Christmas’ 39, I behaved well and they said: ‘You can stay.’ Yes, that was my brother, he is a good brother. * Interview with Lore Robinson (formerly Lore Michel) by project group Kindertransporte in London, 2010. Walter and Lore Michel in Cologne. Photo Credit: Courtesy of Lore Robinson, London.